Monday 11th February marked the UN’s International Day of Women and Girls in Science, an opportunity to celebrate what women have achieved and to encourage the next generation to realise their potential. The key theme of this year’s event is changing the narrative about women in technology and science, and a crucial way to do this is through early intervention at schools. While more girls are attending school globally than ever before, it is still sadly the case that they are significantly under-represented in science, technology, engineering and maths (STEM) classes, with interest in subjects such as science and maths seemingly dwindling as they get older and decide what to study at university. In the UK in 2018, only 22% of Physics A-Level students were female. For Computing it was even lower – a mere 12%. It is encouraging that these figures represent an increase over previous years, showing that traffic is at least moving in the right direction. However, it is imperative that we do all what we can to ensure the number of girls taking STEM subjects at school continues to rise – more quickly and by a more significant margin. The consequences of continued underrepresentation of women across science and technology are significant. Not only will key industries continue to be rife with gender bias, discrimination and an understaffed and unrepresentative workforce, it will also stifle progress. Without more women working in fields such as medicine, engineering and computing there are numerous innovations that will remain undiscovered. A sustained gender imbalance in key decision makers throughout STEM will, unfortunately, result in a continued lack of focus on vital issues that concern women, or technological inventions that are, however unconsciously, designed above all for the use of men. Through Manchester Science Partnerships, we are proud to be supporting Manchester Digital’s ‘Digital Her’. This campaign seeks to address the shortfall of women in digital and tech through introducing girls to role models and mentors, and guaranteeing key influencers such as teachers, career advisors and parents have access to information and resources that will allow them to support and encourage interest in computing and technology. Digital Her also lobbies policymakers to make changes to legislation that reflects historic bias within the education and careers services. It is estimated that 65% of today’s primary school children will eventually have jobs that presently do not exist, such is the fast pace that science and technology is moving at. 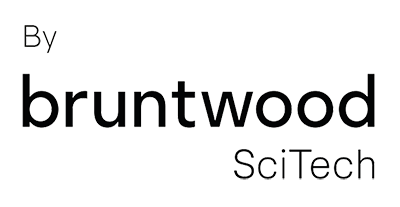 More widely, across UK regional cities, Bruntwood SciTech is providing assets and infrastructure to support the growth of the science and technology sector, looking to create over 20,000 jobs over the next 10 years. Ensuring employers have a diverse talent pool to recruit, and retain, workers from is key to this success. Through our work with partners across city regions, we are committed to creating the right environments and supporting the next generation of women and girls to have the skills required to meet the demands of the ever-changing science and technology sector. This commitment remains important to us all year round, but the International Day of Women and Girls in Science provides a much needed global spotlight on the need to debunk the myths and stereotypes that have historically resulted in a lack of women throughout STEM. We stand on the cusp of the fourth industrial revolution, driven by robotics and AI, and it is vital the gender gap is reduced as soon as possible in order to ensure that women, and the world as a whole, feels the full benefit of gender balanced science and technology sector.